As i said in a previous post I had a meeting with Lynn and she said to change a couple of things , how i have. I figured out how to make the 3D sound work in blender, i remember playing with this feature a while ago but couldn't find the button when looking for it this time. Looked up a tutorial on it and it said the option wont appear unless the .wav is a mono track. So take the sounds i need to be 3D into Audacity and split them to mono from stereo load into a test blender file and it worked, the further away from the object the louder or quieter it gets. 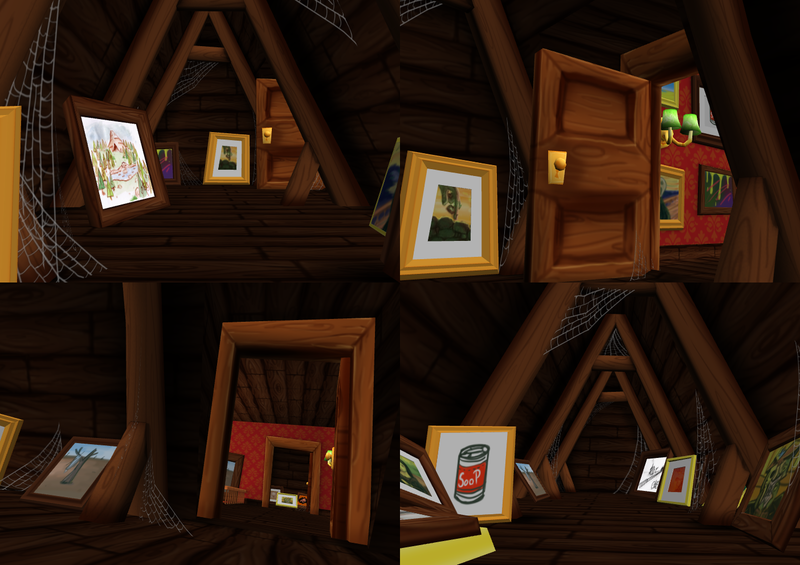 All the paintings within paintings are now screen grabs from the house, and the perspective of the paintings you are in . Again these were 2 things i initaly thought about doing but have just put off till now. There in the beta 2_3. Backface culling in Blender renders?